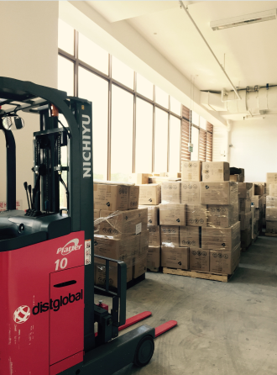 Founded in 2012, Distglobal started out as a trading company who deals primarily in packaging products. Managed by a team of committed individuals who has more than 10 years of experience in the field of packaging and raw material, Distglobal grew from a pure trading company, into one with a diverse range of products and bespoke services offered to both commercial and individual consumers. Today, Distglobal carries more than 500 SKUs and communicates in a vast network comprises of brand owners, manufacturers, OEMs and design houses. Our portfolio continues to grow in an ever challenging economy with long term support from our working partners and customers. We are committed in providing the best quality, excellent customer service and competitive package to our customers. In 2016, Distglobal Pte Ltd achieved ISO 9001:2015 certification, a further assurance to customers and partners on our on-going commitment to service excellence.